Today, Ben announced the final grants of the 2014-15 NFL season from the Ben Roethlisberger Foundation at The Giving Back Fund. The Foundation will be distributing six grants totaling $55,000 to police departments in the Pittsburgh, PA area. The K-9 departments receiving funding from the Ben Roethlisberger Foundation this year include the Township of Springdale, New Castle, Penn Hills, Monaca Borough, North Strabane Township, and Steubenville, OH. These departments will be utilizing their respective grants in a variety of canine focused initiatives including starting brand new K-9 units, purchasing K-9 vehicle upgrades and replacing veteran service dogs that are nearing their much deserved retirement. This announcement completes the eighth grant cycle for Ben’s foundation, during which it distributed more than $132,000 in grants to K-9 units around the country. 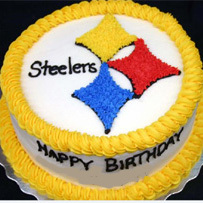 In addition to the Pittsburgh grants announced, the Foundation distributed grants to police and fire departments in the cities and surrounding communities of each regular season away game for the Steelers in the 2014-15 season and one grant outside of the NFL markets in honor of the Steelers’ playoff appearance. 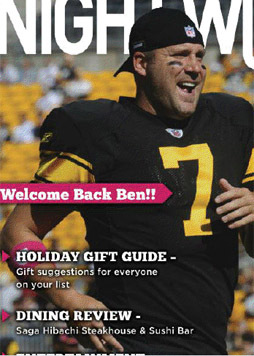 The mission of the Ben Roethlisberger Foundation is to support K-9 units of police and fire departments throughout the United States with a particular emphasis on support for service dogs in Pittsburgh, PA. Ben also strives to support Make-A-Wish and his foundation has distributed in excess of $1.2 million since 2007. Ben is grateful for the generous supporters who have enabled his foundation to expand its K-9 grant program, including Pro Camps and Allegheny County District Attorney’s Office as well as caring individual donors from around the country. Fans of Ben’s foundation can support future K-9 grants by purchasing candy on Sarris Candies’ website, (www.SarrisCandiesFundraising.com), using a special purchase code (77-7777). 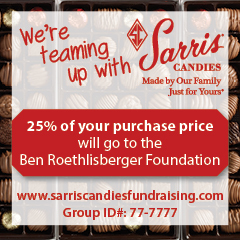 Sarris will donate 25 percent of the purchase price to his foundation. 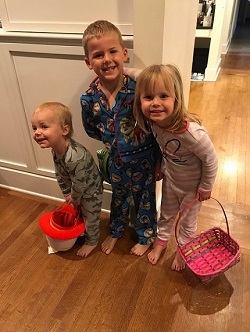 For more information about the Ben Roethlisberger Foundation or The Giving Back Fund, please check out Ben’s foundation page here or contact Jessica Duffaut at www.givingback.org. The ProCamps Ben Roethlisberger Football Camp dates have changed due to the Steelers mandatory OTA’s scheduled for the original camp dates of June 15th & 16th, 2015. The new dates for Ben’s football camp for kids is June 13th & 14th, 2015. The times are still the same. There are still spots available for your football player, but they are filling up fast! 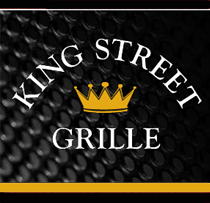 You can get more info and to sign up here.